Harlequin SuperRomance Authors Blog: Where Do Our Ideas Come From? And Our Characters? Where Do Our Ideas Come From? And Our Characters? I was pretty surprised to hear this. Partially because this person is very nice, and has nothing to fear if someone ever decided to write about him. But mainly because I don’t usually “put” people in books! Characters show up, or are created, and they generally seem to be people in their own right, with their own history, quirks, faults, and needs. It got me thinking about what parts of real life show up in my stories. 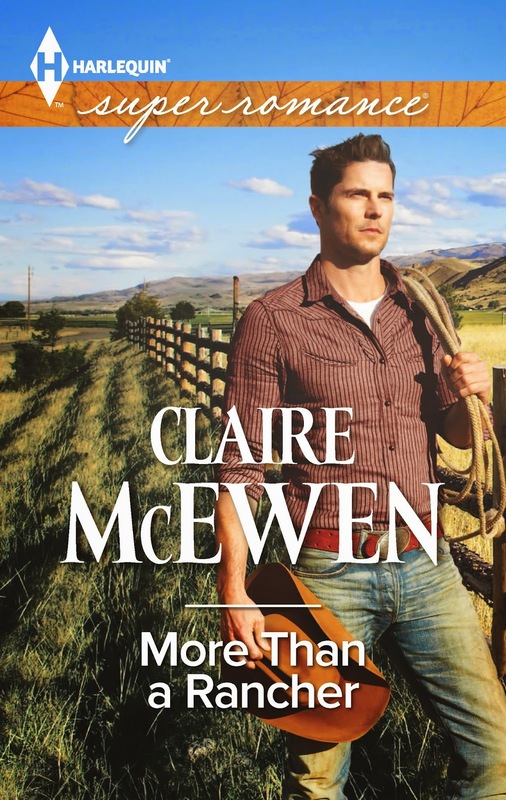 And I realized that my new book, More Than a Rancher, has a lot of real life in it, but it’s the experiences I have in life that make their way into my stories, a lot more than the people I meet. For example, my heroine is a ballroom dance teacher, an experience I briefly had, but she teaches all the dances, while I just stuck to Lindy Hop and other dances from the forties. She competes, while I was never that good! How would you feel if someone made you a character in their book? And if you are a writer, have you ever based a character on a person that you know? Do you put real people in your books? I'm not a writer just a reader. I know writers draw from their experiences. In a few reader letters, some authors have said that they based a certain character on someone or some pet that they know or knew. I don't lead an interesting enough life to be in a book. An author did include my name in a book dedication and Kaelee was the name of a very minor character in another author's book. my two seconds of fame. I don't think I would be very comfortable recognising myself in a book. That would be very interesting to see how my sedate, normal life is viewed from a different perspective. My cats were in a Harlequin book. Operation Baby Rescue by Beth Cornelison. I am not sure if i would want a character to be based on me. Maybe! Hi! Thanks for your comments! I agree Mary, I think it would be pretty unsettling to recognize myself in a book. And Debbie, I like the idea of keeping out of trouble for sure! ;-) Kaelee, after I read your comment, I read Marelou's - and it is interesting to think about how our lives would be viewed from someone else's perspective. But yes, when I think of mine ( hanging out with my son, doing chores, tapping away at my computer,) it doesn't seem exciting enough to make a good story! Tammy, that is SO cool. Your kitties are famous! Love it! Did you get a photo with your cats and their book?